Michele Morrissey lives in Sinking Spring, PA with husband Craig. In 1978, she began her insurance career at C.N.A. Insurance as a personal lines application processor. After marrying Craig (Bernie’s son) in 1981, Michele began working at Morrissey Insurance. She left the agency for awhile in exchange for motherhood, returning to the agency in 1991. 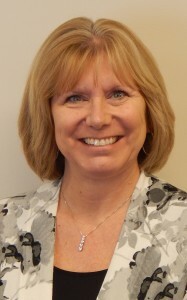 Michele is Vice-President of Marketing with primary focus on new business. She is a member of the Berks County Dairy Promotion Committee and the Inter-County Contractors Safety Day Committee. Craig & Michele have three children- Tim, Jason and Nicole- all of whom work at the agency. There are seven grandchildren-Gabrielle, Tessa, Braeden, Charlie, Quinn, Griffin, and Leela.